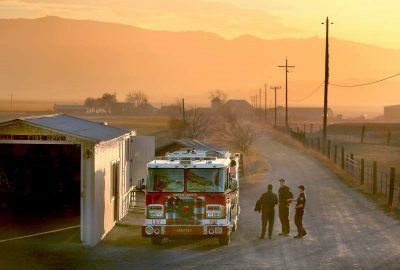 The Wildfire Recovery & Resilience Neighborhood Grants Program (NGP) is a competitive grants program of the United Way of the Wine Country in partnership with Sonoma Clean Power. Together, we are committed to providing financial support to resident- and community-led groups for projects in their neighborhood or community that help its residents rebuild and recover from the October 2017 wildfires and/or build the resiliency necessary to address future disasters. Any resident- or community-led group in Sonoma County is eligible to apply. To apply, the group must include at least five households. Projects must be carried out in the neighborhood or community where the members live. Priority is given to applications from underserved and/or low-to moderate-income areas of the county. Funded groups will be required to open a bank account under the group’s name. Need: What was the extent of the damage from the October 2017 wildfire (if applicable)? How critical is this project to the neighborhood/communities’ recovery or resilience? Community Involvement: How is input gathered from the members of the neighborhood/community? How are decisions made? Impact: How will this grant support rebuilding, recovery or resilience of the neighborhood or community? Who will it benefit? The Wildfire Recovery Neighborhood Grants Program expects to award approximately 5-10 grants. Grants will likely range in size between $500 and $30,000. Funding will be awarded in October 2018. Please email questions to: Suzanne.yeomans@unitedwaywinecountry.org or call 707-528-4485 x108.